What Is The Difference Between DC Motor, Servo Motor And Stepper Motor? Selecting the right motor for different applications depends on some design criteria such as positional accuracy requirements, cost, availability of drive power, torque and acceleration requirements. Overall, the motors like DC, servo, and stepper motors are best for different applications. But, the stepper motor is well suited for high holding torque and lower acceleration applications. 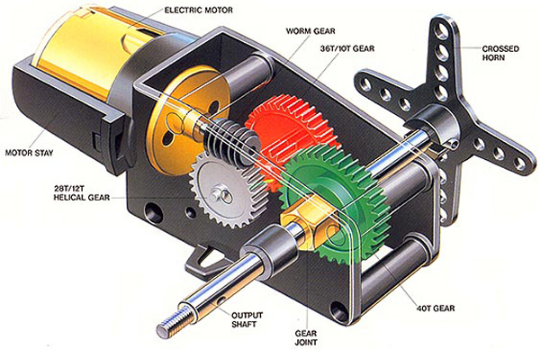 Many are under the misunderstanding that there is a huge difference between DC motor, servo motor, and stepper motor. To know the differences between these three motors, this article gives a brief difference between these three motors. Selecting between a DC motor, a Servo Motor, and a Stepper Motor can be quite a task, including the balancing of numerous design factors, namely cost, speed, torque, acceleration, and also drive circuitry all play an essential role in choosing the best electric motor for your application. DC Motor is a two wire continuous rotation motor and the two wires are power and ground. When the supply is applied, a DC motor will start rotating until that power is detached. Most of the DC motors run at high revolutions per minute (RPM), examples are; fans being used in computers for cooling or car wheels controlled by a radio. Generally, the servo motor is an association of four things, namely a DC motor, a control circuit, a gearing set, and also a potentiometer usually a position sensor. The servo motor position can be controlled more precisely than those of typical DC motors, and generally, they have three wires like power, GND, and control. Power to these motors continually applied, with the servo motor control circuit changing the draw to drive the servo motor. These motors are designed for more exact tasks where a motor position needs to be clear precisely like moving a robotic arm or controlling the rudder on a boat or robot leg within a particular range. These motors do not alternate easily like a standard DC motor. In its place, the rotation angle is partial to 1800. Servo motors obtain a control signal that signifies an o/p position and applies power to the DC motor until the shaft goes to the precise position, decided by the position sensor. PWM (pulse width modulation) is used to control the signal of a servo motor. But, unlike DC motors it’s the period of the positive pulse that controls the position, somewhat than speed, of the servo shaft. The value of the neutral pulse depends on the servo keeps the shaft of the servo motor in the middle position. Increasing the value of the pulse will make the servo motor turn clockwise, and a shorter pulse will switch the shaft anticlockwise. 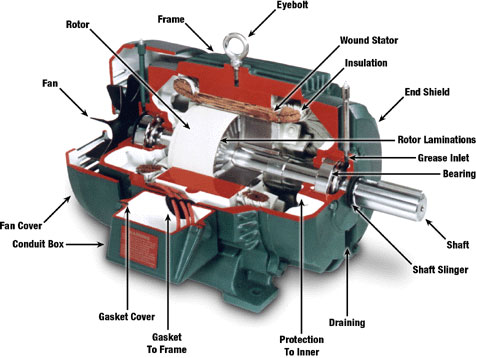 A stepper motor is fundamentally a servo motor that uses a different method of motorization. Where a motor includes a continuous rotation DC motor and combined controller circuit, stepper motors utilizes multiple notched electromagnets arranged around a central equipment to describe the position. Stepper motor needs an exterior control circuit to separately energize each electromagnet and make the motor shaft ON. When the electromagnet is power-driven it attracts the equipment’s teeth and supports them, somewhat offset from the next electromagnet ‘B’. When ‘A’ is turned off, and ‘B’ turned on, the apparatus rotates slightly to align with ‘B’, and everywhere the circle, with each electromagnet around the apparatus energizing and de-energizing in turn to make a rotation. Each revolution from one electromagnet to the next is named a “step”, and therefore the motor can be activated by exact pre-defined step angles through a full 3600 rotation. These motors are used in two varieties, namely unipolar/bipolar. Bipolar motors are the most solid type of motor and generally have 4 or 8 leads. They have two arrays of electromagnetic coils inside, and stepping is attained by altering the current direction in the coils. Unipolar motors are recognizable by having 5 wires, 6 wires or even 8 wires, also have 2-coils, but each one has a center tap. These motors can step without having to opposite direction of current in the coils, making the electronics simpler. But, because this tap is used to strengthen only half of each coil at a time they normally have less torque than bipolar. The advantages and disadvantages of DC motor, servo motor, and stepper motor include the following. DC motors are fast and continuous rotation motors mainly used for anything that needs to rotate at a high rotation per minute (RPM). For instance; car wheels, fans etc. Servo motors are high torque, fast, accurate rotation in a limited angle. Generally, a high-performance alternative to stepper motors, but more complicated setup with PWM tuning. Suited for robotic arms/legs or rudder control etc. Stepper motors are slow, easy setup, precise rotation, and control – Advantage over other motors like servo motors in controlling of a position. Where these motors require a feedback mechanism and backing circuitry to drive locating, this motor has positional control through its nature of rotation by fractional additions. Suitable for 3D printers and related devices where the position is essential. Thus, this is all about the main difference between a DC motor, a Servo Motor, and a Stepper Motor with advantages and disadvantages. We hope that you have got a better understanding of this concept.Furthermore, any doubts regarding this concept or to implement any electrical projects using motors please give your valuable feedback by commenting in the comment section below. Here is a question for you, What is the function of a motor? ‹ Previous What are Linear and Non-linear Circuits and Its Differences? useful for selecting the motor. Thanks a lot.